A Sports Bar Dream. 20 Handles of Craft Beer with Water Front seating. Water Front-yachts and the ocean. You add the beer and high end food! If you want loaction, prestige and the most beautiful sunsets ever, you gotta see this South Bay Sports Bar- Gsstro Pub. Locate don the water-Watch the yachts roll in to berth each day while sipping one of 20 premium craft beers. With this Bar you get the use of the upstairs Yacht Club for hosted events. This HUGE UPSIDE will be a money maker for the smart operator. 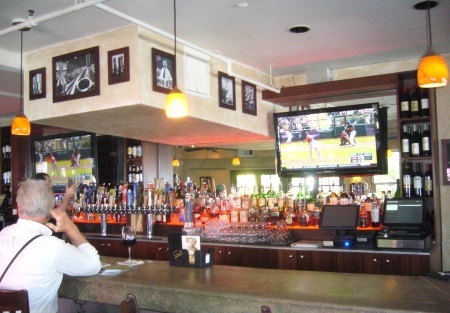 The owners want to sell due to partnership issues which leave plenty of room for an experiences sports bar operator. You won't regret the views each day as you open the doors to the scent of salt water. The boardwalk is your neighbor as locals and tourists clamor for the excitement of a local pub. This season is huge with the Long Beach Grand Prix. Do not miss out on this golden opportunity.